Damn, I guess maybe the kind of guys who cut up their Nike socks and believe that the NFL protests are actually against the National Anthem really aren’t the future. Despite a lot of mostly conservative hand wringing, it looks like Nike’s supposedly risky venture has paid off a ridiculous amount, after online sales jumped an immediate 31% after the ads according to Market Watch. This is in comparison to a 17% rise in sales last year. This is also in addition to an advertisement featuring Kaepernick played during the NFL season opener, titled “Dream Crazy”. The ad doubles down on the concept that comes with Kaepernick, believing in what you do, even if it means risking everything, and comes with the tagline “It’s only crazy until you do it”. The ad additionally includes Odell Beckham Jr., LeBron James and Serena Williams. You can watch the advertisement below. It’s at this point key to add that, despite the spin of the far right, Colin Kaepernick’s kneeling during the National Anthem was not to protest veterans or the song itself, but to protest the brutal, unjust and often murderous treatment of African Americans by the police. It’s a topic we have discussed on here time and time again because it continues to happen time and time again. On a broader social level, it shows that the popularity of Colin Kaepernick’s message remains strong, despite the attempts to discredit him or to stop him from playing in the NFL — and the message resonates with a younger audience. One hopes that this speaks well of Kaepernick’s campaign to bring attention to police brutality amongst people of color, as his message is reflected successfully in the free market that those who try to decry his message so adore. 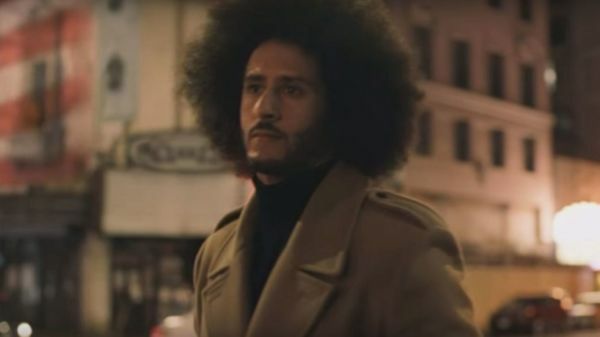 What do you think of the Kaepernick ad or Nike’s growth? Let us know in the comments or on Twitter at @WhatsTrending.